RecSports has teamed up once again with Women’s Basketball and the College of Science to raise money for breast cancer awareness and local research. 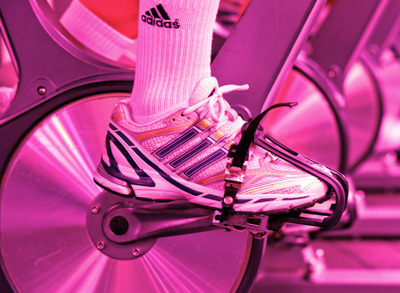 The 24-Hour Pink Zone Spin-A-Thon takes place from noon Friday, Jan. 25, through noon Saturday, Jan. 26, in the Rockne Memorial Cycling Studio B026. Registration is open online via RecRegister at recsports.nd.edu. Reserve your bike and time slot with your donation—minimum suggested donation is $1. Please help us in our goal to reach $15,000 with the event. Ride for one, two, or 24 hours! The event is open to the Notre Dame campus and local community members. Questions? Contact RecSports Fitness, 631-3432. Originally published by Carol C. Bradley at today.nd.edu on January 20, 2013.